For professional pesticide applicators, renewing licensure is part of the job. Pest Control Courses allows recertification that meets pesticide license Texas regulations. Our state-approved courses are packed with valuable information and practical application. Pesticide license Texas recertification regulations differ among types of applicators. Pest Control Courses offers a number of online courses and packages that meet the requirements for private applicators, commercial and noncommercial agricultural applicators, and structural technicians. For pesticide license Texas renewal, both private and agricultural applicators must earn CEUs in integrated pest management and laws/regulations. Pest Control Courses offers two courses in regulations: Texas Laws and Regulations and Federal Pesticide Laws. 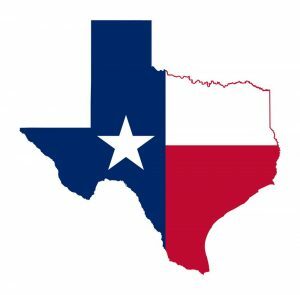 In Texas Laws and Regulations, applicators discuss the roles of the Texas Department of Agriculture, Texas Structural Pest Control Service and Texas Commission on Environmental Quality in the use and disposal of pesticides within state boundaries. The course also addresses the licensing and recertification of applicators and addresses various components of pesticide and herbicide regulations. In Federal Pesticide Laws, applicators learn about federal laws that regulate the use of pesticides. The course touches on a number of federal regulations like the FDCA (Food, Drug and Cosmetic Act), OSHA (Occupational Safety and Health Act), RCRA (Resource Conservation and Recovery Act) and TSA (Transportation Safety Act). To cover integrated pest management, Pest Control Courses offers a two-part course in nonchemical pest control techniques. During these courses, applicators learn about IPM and how it uses multiple tactics to suppress pest populations within minimal pesticide use. The courses touch on the basic steps of the IPM program and actions that can be taken to prevent or manage pest problems while reducing the use of chemicals. Pest Control Courses also offers continuing education in pesticide safety, formulations, and modes of action. Two courses also cover the proper action to take in the event of a pesticide leak, spill, misapplication or fire. First aid applications for pesticide exposure on one’s skin, clothing, eyes or lungs is also discussed. To meet pesticide license Texas recertification requirements, enroll in Pest Control Courses. Our registration is easy, certification is instant, and all of our courses come with a money back guarantee. To start on your way to license renewal, contact us today!